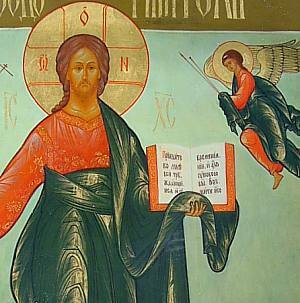 The image of Christ Pantocrator (The Lord Almighty) is the subject of this icon from the village of Palekh. 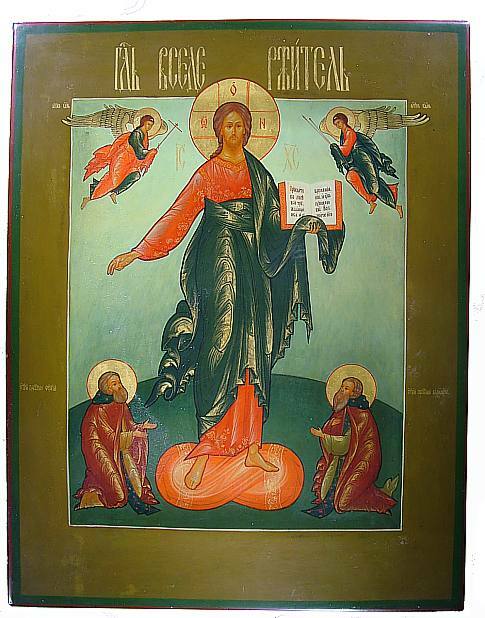 Christ holds the New Testament in his left hand and teaches or blesses the two saints, St. Sergiy and St. Varlaam, with his right. Two heavenly angels, one with an orthodox cross, appear near his head. The icon is pretty large and very impressive in its execution. Extremely thin lines of gold leaf define the contours and folds in the clothing. Halos around the head of each figure, and in the finely detailed wings of the angels provide five points of heavenly light. 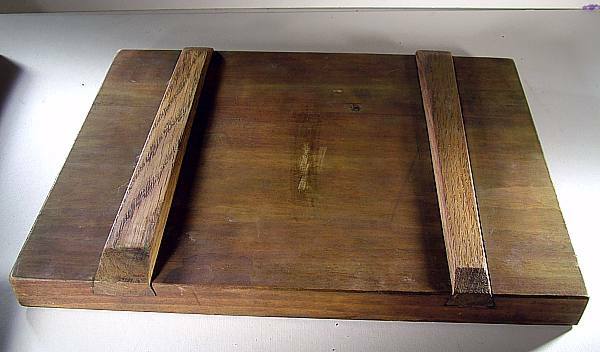 The icon is made of wood and has two slats on back. A light coating of lacquer has been applied to the icon. There are some dot-like bubbles here and there, but the imperfections are very minor and certainly wouldn't be seen when viewing it in a normal fashion. True to the traditions of icon painting, the piece is not signed, although we know it came from an artist in Palekh.